The time machine is one of the classic devices of science fiction, a source of endless wonder and inventiveness. 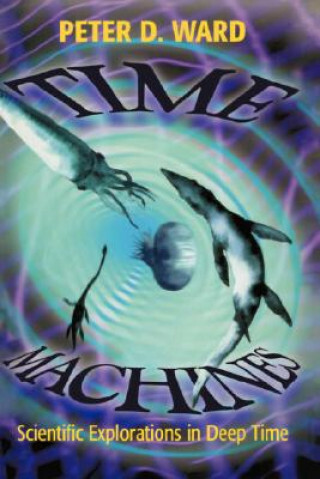 In a book that transfers that sense of wonder and inventiveness to the realm of nonfiction, Peter Ward shows that paleontologists do indeed use time machines to probe the deep geological past, and that both the machines and the people using them come in a fantastic variety of types. Sometimes the time machine is as simple as a rock hammer or as humble as a magnifying glass; other times it is an esoteric piece of equipment such as a mass spectrometer. Always, the most important element is the imagination of the scientists willing to take the scientific and creative risks of plumbing the distant past of our planet and its great bestiary. In 10 separate essays united by this common theme, Time Machines prowls the world of steamy Mesozoic days and fetid Paleozoic nights to rediscover the grace and beauty of Earth's faraway past.